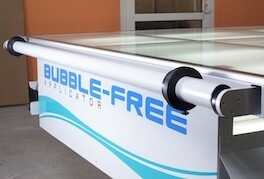 The Bubble-Free Applicator Table allows a single operator to mount and laminate a wide range of materials in superfast time whilst eliminating the danger of bubbles or creases. 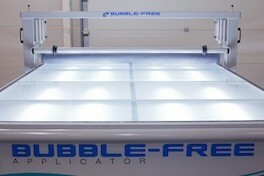 Can be used for mounting and laminating onto any flat surface up to 60mm thick. The Bubble-Free applicator is available in two widths, 1500mm and 1700mm giving maximum working widths of 1420mm and 1640mm respectively. 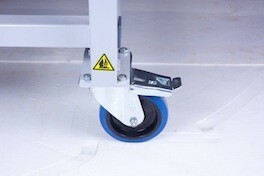 Rollers have 15mm of soft rubber thus ensuring bubble free application. 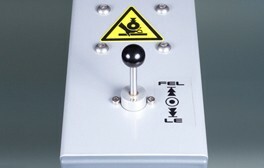 The machine can be operated from either side giving greater installation flexibility. MDF and glass working surface both ensure a good solution for cutting and applying layers on different materials with different thickness. 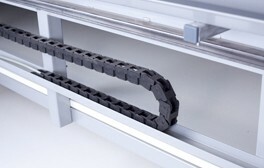 The roll holder gives you the opportunity to feed your material from a roll. 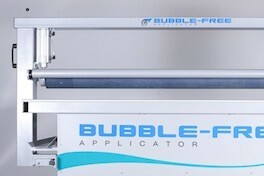 The pressure roller has 15mm thick soft rubber coating, to guarantee the bubble free application. The roller presses the applied materials so they can’t move from their fixed position. 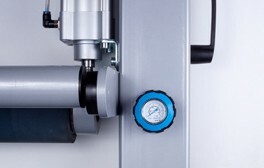 The pressure of the roller can be adjusted over a wide range by the pneumatic controller. The pressure roller is controllable from both sides with a three-position switch which allows the height of the rubber roller to be adjusted. The maximum material thickness is 60 mm. 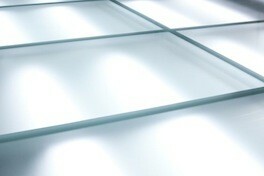 The table is equipped with powerful but economical LED lighting. The LED provides an excellent and even light on the surface. The cable channel and the hard plastic shell protects the air tubes from breaking and premature wear.